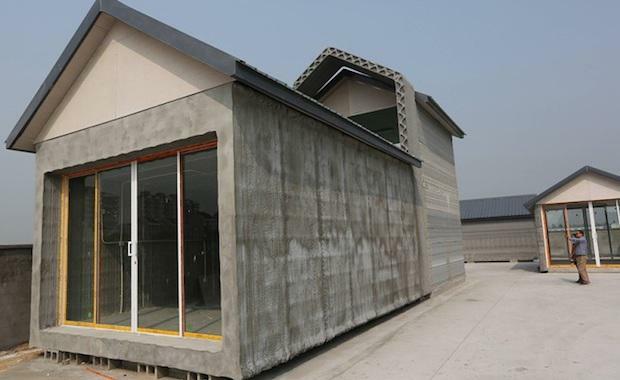 Suzhou-based construction-materials firm Winsun New Materials, has built 10, 200 square metre homes using a 3D printer. The company spent 12 years and $3.2 million, developing the printer that would build 10 prototype homes in one day. The simple grey structures were built using a mix of cement and industrial waste to render load-bearing structures with minimal environmental impact. The homes, 6.6 metres tall, 10 metres wide and about 20 metres long, were printed in Suzhou and assembled in Shanghai, and will be used as offices for local authorities. 3D Print Canal House which will see the company print a canal house at an expo-site in the very heart of Amsterdam. The Dutch architect in charge of the project said the 3D Print Canal house would probably take less than three years to complete.